It's hot off the press! 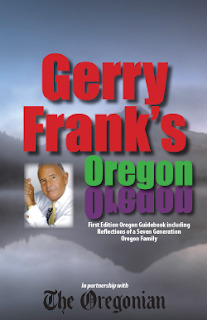 "Gerry Frank's Oregon" in Partnership with The Oregonian. We're excited and honored at Sandlake Country Inn to be included in this brand new guide book of Oregon, written by the "Premier Citizen" (by gubernatorial proclamation in 2000 named Oregon’s first – and only Premier Citizen), Gerry Frank. 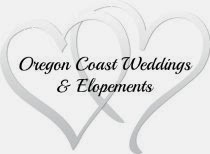 This unique guide book to Oregon does not just include lodging and restaurants, but it's also full of places to see, where to shop, and also includes museums, wineries and fun things to do with the family. As a long time contributor to The Oregonian, Gerry Frank has also chaired the Oregon Tourism Commission from 1996 to 2001, did weekly television gigs for Channel 12’s Northwest Reports and Good Day Oregon for eight years and also worked with Channel 2. He continues to write (for over 25 years) a wide-ranging (now focusing on travel) column for The Oregonian. Gerry Frank’s Oregon is a must read for anyone who loves this state. Woven by Oregon’s first citizen and master story teller this book is a rich fabric of practical information and fascinating details about our state and its history. In many ways Gerry Frank has become almost synonymous with Oregon and has dedicated his life to public service and to enriching our state and its people. Gerry Frank’s Oregon is his latest contribution to the Oregon story.